If a new pushchair is on your must have list of baby equipment in the next few months, take a look at our pick of five new pushchairs to watch out for in 2016. These five pushchairs are all due to launch in the next few months, so if you’re a parent who likes to stay one step ahead of the pushchair pack, make a note in your diary. Pushchair reviews. 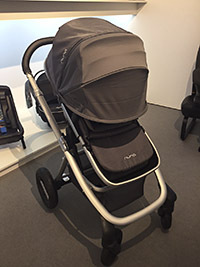 Our lab experts test each pushchair for safety and durability. Find the best for you. The Babystyle Hybrid is something different. This compact stroller comes with a choice of rear axles, so you can customise it to your needs. You can swap from the big wheels that it comes with, to small city wheels (an extra £40), or make the wheel base longer to convert it to a double buggy (another extra £40). We love the harness – which adjusts exactly like a car seat – the large, full hood, and there’s even an organiser-style change bag that fits neatly inside the shopping basket, or can hook on the handles. The Edge can take two carrycots or two car seats when used as a double. A second carrycot or seat unit will set you back £129 a piece, and it’s £15 for elevators that give the top seat some more room when using it as a double. The original Babystyle Oyster was massively popular, and the updated Babystyle Oyster 2 is still in our Top 10 popular pushchairs chart. The latest offering in the Oyster range is the Oyster Zero. 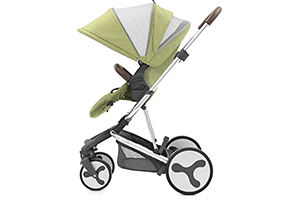 This super-light version comes with full suspension, a zip out hood, air flow for the seat to help keep your little one cool and the Oyster carrycot (£119) can be used with it, too. 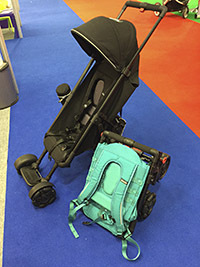 Lightweight strollers are a perfect pushchair option when you don’t want to lug a bulky travel system about, or just want to nip to the shops quickly. It will be available in green and navy with a fetching leatherette handlebar and matching bumper bar. 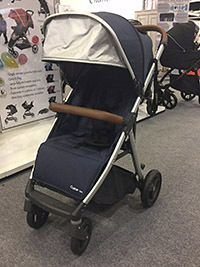 The OmniO stroller is an everyday stroller that can carry your child from six months old up to 22kg (that’s around five years old). The wheels sweep across the floor to help with turning, going sideways as well as forward and back (we’d describe the innovative design as wheels within a wheel), and it comes with a range of accessories. Most impressive of all is the OmniO’s ability to fold up into a backpack that you can carry around when you don’t need to use the buggy. It comes with front suspension on the wheels and weighs around 6.4kg. It’s not cheap though, at £389, but this does include a rain cover and travel bag. 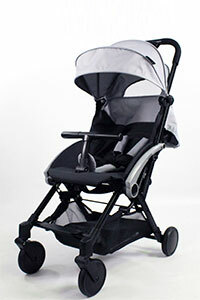 Choosing the best stroller – must-know tips before you buy. The Nuna Ivvi has had a makeover and the new Nuna Ivvi Savvi will be heading to the high street later this year, eventually replacing its predecessor. It’s lighter than the original, but the reversible seat unit is now only suitable for babies from six months of age. That’s due to the shape of the new seat, which is bucket-shaped (rather than lie-flat which is best for newborns). You can still buy a carrycot to make it suitable from birth though. The front and rear suspension should help give a smooth ride for your little passenger, and there’s even a summer seat under the padding. Plus, Nuna has kept the massive shopping basket. Nuna Ivvi review – see how the original scored. Red Kite is launching the Push Me Cube, a travel-friendly lightweight stroller that folds up small enough to go into overhead storage on a plane. It comes with a bag included. There’s a definite knack to the folding, but it seemed to handle well when we tried it out. It will definitely give the Babyzen YoYo a run for its money thanks to its price point. The Cube chassis is black but the fabrics come in a range of bright colours. Of course, while trends are important, pushchair performance is key. We’ve got reviews of more than 180 pushchairs. We test each pushchair for safety and durability as well as ergonomics, plus how easy each of them is to use on a day-to-day basis.